Visual kei imports store and promotion company Chaotic Harmony is starting a new video series project called “Get to Know,” which will enable fans living outside of Japan the opportunity to learn more about their favorite bands. 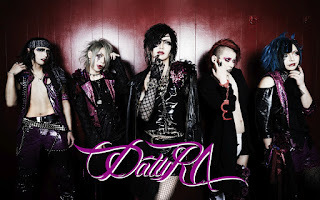 The first band to be featured in the series will be DatuRΛ. To participate, fans can submit questions to info@chaotic-harmony.net or via direct message on Chaotic Harmony’s social media. Questions must be submitted in English. The band may not be able to answer all questions. Since it may take a few weeks for the band to take the video and Chaotic Harmony staff to add subtitles, there is no concrete release date for the video as of yet. Questions will be accepted until Tuesday, August 15th.